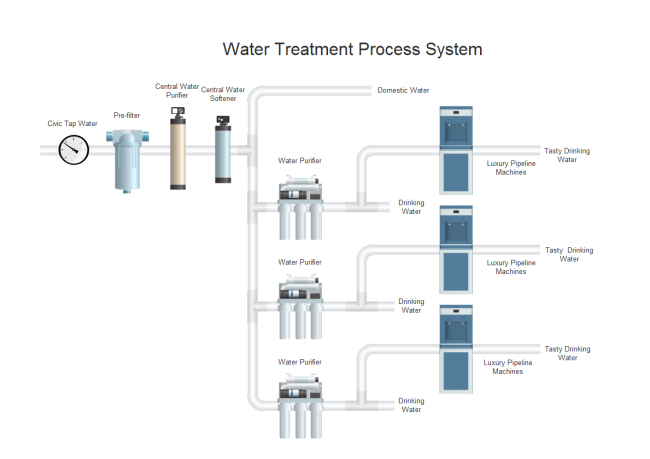 Pre-drawn flow meter symbols represent analog output flow sensor, cyclonic flow meter, flow element, flow totalizer, flow tube, temperature, smart magnetic, etc. Vector symbols help develop accurate and presentation-quality diagrams. From the P&ID flow meter symbols library, you will gain a great range of high quality flow meter symbols. 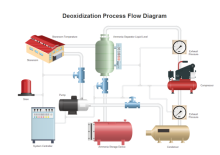 These symbols are great resources when you need to document piping and instrumentation diagram. Here you will have a general overview of the symbols on how they look like and how to use them in diagrams. 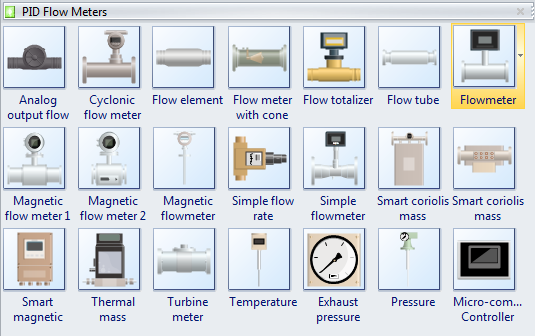 The following picture shows a screenshot of the flow meter symbol library. 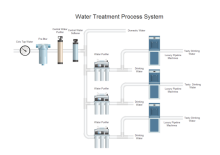 It has a comprehensive collection of flow meter shapes which are vivid and accurate. You will find analog output flow sensor, cyclonic flow meter, flow element, flow totalizer, magnetic flow meter, simple flow rate, simple flowmeter, smart coriolis mass, pressure, flow tube, flowmeter, temperature, smart magnetic, and more. 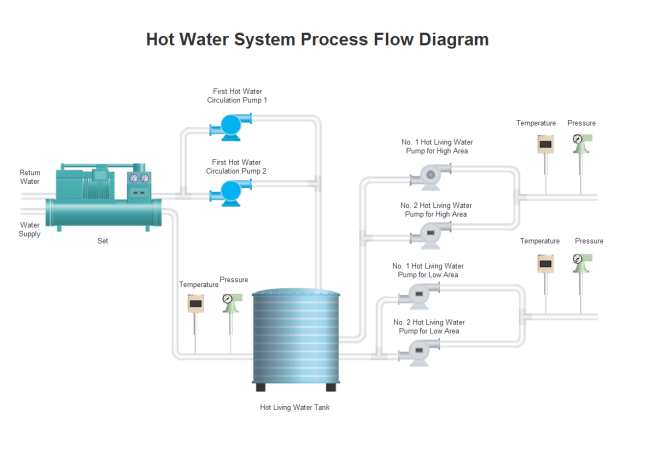 Flowmeter is a device used to measure the flow rate or quantity of a gas or liquid in a pipe. Cyclonic Flow Meter is a meter designed to measure the flow rate of a fluid (or gas) within a cylindrical chamber without a differential pressure directly across the rotating member, and without the use of any bearing. Magnetic Flow Meter is applied to the metering tube, which results in a potential difference proportional to the flow velocity perpendicular to the flux lines. Flow Totalizer displays the flow rate from a flow meter as well as the accumulated total volume of the flow.